Tea is the second most popular drink in the world, outpaced only by water, and though many Americans drink it regularly, they all too often dump large quantities of sweeteners in it. But in its purest form, tea is a naturally calorie-free, versatile beverage that can be an indispensable diet aid. 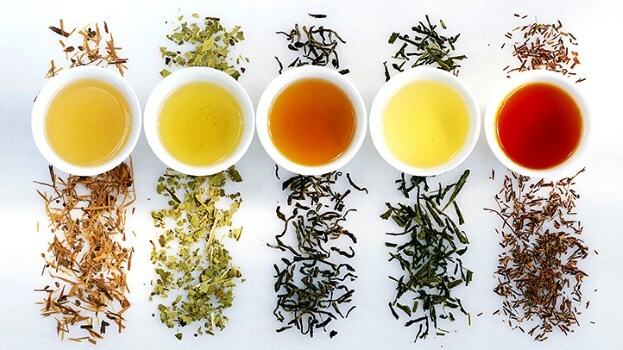 Though all teas come from the same source, different processing methods have produced a range of different varieties, all of which contain different quantities of caffeine and have slightly different health properties. One thing all teas have in common: They might help us lose weight. A recent study out of Kobe University in Japan found that regular consumption of tea can counteract the fattening effect of junk food! Trying to slim down? Experiment with the whole range of teas and find the one you like. Which has the most caffeine (though still less than coffee), contains antioxidants known as polyphenols and has weight-loss properties. A 2001 Boston University study found that drinking black tea can help reduce a symptom of coronary artery disease. Both of which have less caffeine than black and oolong teas, have extremely powerful antioxidant properties that can protect against cancer and heart disease, and both teas can also lower bad cholesterol levels. Green tea in particular might also be a useful weight-loss aid. It’s been shown to stabilize blood sugar and reduce people’s risk of developing type 2 diabetes. In one study, diabetic rats given green tea lost significantly more weight and had much lower cholesterol levels than those not treated with the tea. Another recent study, on mice, found that even in conjunction with a high-fat diet green tea can help keep off the pounds. A type of green tea, slightly lower on the caffeine scale, is chock-full of polyphenols and catechins, antioxidants renowned for their anti-inflammatory qualities. Oolong tea might also help regulate blood sugar and increase metabolism by 10 percent for 2 hours after drinking. Several recent studies found that oolong tea might be an effective obesity treatment, and that regular consumption of oolong tea can lead to weight loss and an improved metabolism. Are generally caffeine free and are made from a great variety of ingredients, everything from fruits to seeds (and sometimes not any tea leaves), though don't place any big bets on all those “slimming teas” that have cropped up in health food stores in recent years -- and definitely don't embark on one of those tea-only cleanses that has users chug gallons of milk thistle every day.